Hypertonic solutions relation to osmosis. All the living organisms are made up of fundamental unit of life called” cell”. The cell is a Latin word for “a little room”. The scientist Robert Hooke saw a little room in the cork (the bark of a tree) resembled the structure of a honeycomb. The use of the word “Cell” to describe these units is used till this day in Biology as” Cell Biology”. The scientist Robert Brown discovered the nucleus in the cell. The cell theory states that all the plants and animals are composed of cells, it was proposed by Schleiden and Schwann. The cell theory was further expanded by Virchow by suggesting that “all cells arise from the pre-existing cells”. The cells differ in size, shape, structure (Please refer to Fig. 5.2/5.3: Onion peel/Various cells in Human body, NCERT Book Page-57/58):Types of cells: Onion cells, Smooth muscle cell, Blood cells, Bone cell, Fat cell, Nerve cell, Ovum, Sperm etc. Each kind of cell performs specific function. A single cell may constitute a whole organism as in Amoeba, Chlamydomonas, Paramecium and Bacteria; these are called as unicellular organisms. Whereas in multi-cellular organisms (Human beings) division of labor is seen. The feature in almost every cell is same: Plasma membrane, nucleus and cytoplasm. Plasma membrane: It is the outermost covering of the cell. It is called as selective permeable membrane (because it prevents movement of some materials). 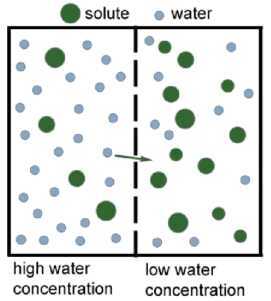 The cell gains water, if the medium surrounding the cell has a higher water concentration (Hypotonic solution) than the cell. The cell maintains the same water concentration as the cell (Isotonic solution), water crosses the cell membrane in both directions. 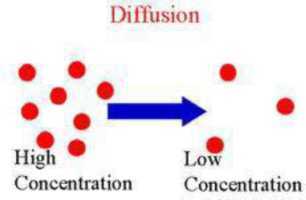 The cell loses water, if the medium has lower water concentration (Hypertonic solution) than the cell. omission of water is called ex-osmosis. The cell engulfs food is called endocytosis and ejects solid is called exocytosis. Amoeba acquires food through endocytosis and excretion of solid is called exocytosis. The cell wall is a rigid outer covering composed of cellulose. It provides structural strength to plant cells. When a living cell loses water, there is shrinkage of contents of a cell away from the cell wall. This phenomenon is called as plasmolysis. The cell walls permit the cells of plants, fungi and bacteria to withstand very dilute (Hypotonic) external media without bursting. The Nucleus: It is a dark colored, spherical or oval, dot-like structure near the center of a cell called Nucleus. The nucleus plays a central role in cellular activities/ reproduction. The chromatin material gets organized into chromosomes. The chromosomes contain information for inheritance of features from parents to next generations in the form of DNA( Deoxyribo Nucleic Acid ) and protein molecules. The functional segments of DNA are called genes. In some organisms like Bacteria nucleus is not covered by nuclear membrane. Hence it is called as prokaryote. (Pro= primitive; karyote = karyon = nucleus.) The organisms with cells having a nuclear membrane are called eukaryotes. Nuclear region: Not well defined and not surrounded by a nuclear membrane & known as nucleoids. Eg fungi, plant cell and animal cell. Cell organelles: Every cell has fluid matrix (other than nucleus) is called cytoplasm. The nucleus and cytoplasm is together called as protoplasm. The protoplasm term was coined by Purkinje. It has important cell organelles: Endoplasmic Reticulum (ER), Golgi apparatus, Lysosomes, Mitochondria, Plastids, and vacuoles. Endoplasmic Reticulum (ER): It is a large network of membrane -bound tubules and vesicles. Rough Endoplasmic Reticulum (RER) (It looks rough because Ribosomes are attached to its surface. They are the sites of protein synthesis). Smooth Endoplasmic Reticulum (SER) (It looks smooth because Ribosomes are not attached to its surface. They are the sites of fat molecules synthesis). SER ; help in the functioning of enzymes and hormones to carryout biochemical activities. SER detoxifies many poisons and drugs from the cell. ER serves as channel for the transport of material between various regions of the cytoplasm and the nucleus. Proteins and fat molecules produced by ER helps in membrane biogenesis. modification and package of cell products. The complex sugars are made from simple sugars in the Golgi apparatus. It is also involved in the formation of lysosomes. Lysosomes: They contain membrane-bound sacs with powerful digestive enzymes (enzymes are made by RER) to digest the worn-out cell organelles. When the cell gets damaged, lysosomes may burst and the enzymes digest their own cell, hence called as “Suicidal bags of a cell”. It is a waste disposal system of the cell. Mitochondria: It is covered by a double membrane. Outer membrane is very porous and the inner membrane is deeply folded. These folds create a large surface area for ATP (Adenosine Triphosphate) molecule synthesis. ATP is the energy currency of a cell; hence the Mitochondria are called as Power House of a Cell. Mitochondria have their own DNA and Ribosomes; therefore they can make their own proteins. Plastids: They are present only in plant cells. They are two types. Leucoplasts (White or colorless plastids; stores materials such as oils, proteins, fats etc. ) Plastids are also covered by a double membrane. The matrix is called Stroma, seat for enzymatic actions. Plastids have their own DNA and Ribosomes; therefore they can make their own proteins. Vacuoles: Storage sacs for solid or liquid contents. They are small in size in animals while plants have large, may occupy 50-90 % of the cell volume. Helps to provide turgidity and rigidity to the cell. Many substances like amino acids, sugars, organic acids and proteins are stored in vacuoles. In Amoeba food vacuole is specialized to play an important role. Cell: It is the fundamental structural unit of living organisms, helps in respiration, obtaining nutrition and clearing waste material or forming a new protein. Q.5 What is the main function of Leucoplasts? Q.6 Draw the structure of Ovum. Q.8 Describe what is an isotonic solution Q.9 What is Plasmolysis? Q.13 What is the significance of Vacuoles Q.14 Write a short notes on Mitochondria.